← Happy 30th Anniversary Epcot! When running the numbers for our next trip to the World, I figured that it will only cost us $20 total to add another day to our park tickets (it’s so low because we opted out of the park hopper). It seems like a no brainer to go ahead and get tickets for the day of our arrival. Even if it’s only a partial day in the parks, it doesn’t cost that much. Then, I started looking into some things you can do outside the parks. 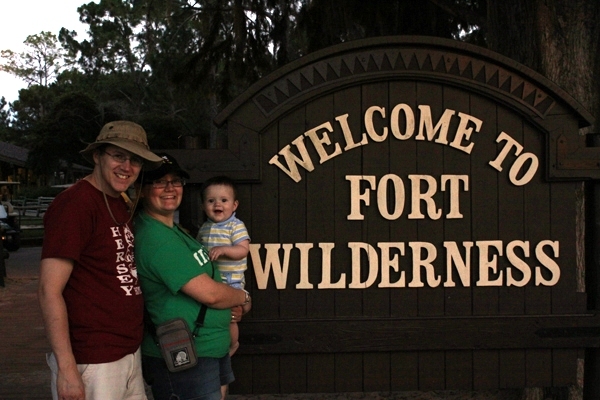 My attention was especially drawn to Fort Wilderness. When we went to Disney World as young kids, we always stayed at Fort Wilderness, so I want my kids to have some experiences there too, even if we’re not brave enough to stay there yet. (The kiddos will be 16 months and almost 3 when we go.) The more I looked, the more I believed we could have an awesome day of family fun there and save our $20 for some of the “must have” snacks in the parks. The next time you head to the World, consider using your arrival day to do some exploring outside of the parks. Fort Wilderness works for us because our children are younger, but there are so many other things out there to do no matter what age the people in your group are. I encourage you to use that search engine, hit the forums and plan an arrival day for your family that they’ll never forget! 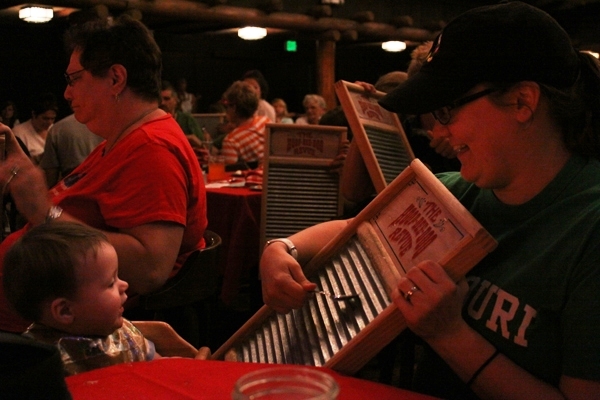 Other things to do at Fort Wilderness include: Cane pole or casting rod fishing, horseback trail ride, carriage ride, hayride, wagon ride, archery experience, the Hoop-dee-doo Revue and Mickey’s Backyard BBQ. These all cost some amount of money, but offer you experiences you just can’t get in the parks! When all is said and done, we’ll be saving $15. Just to give you an idea, that’s 3 Ice Cream Cookie Sandwiches, 4-5 Dole Whips and almost 5 Mickey ice cream bars! That’s not even mentioning all the bakeries on my list that I’m hoping to hit!! And best of all, we’ll be getting a priceless chance to make some new and special memories that will last a lifetime! This entry was posted in Food, Hidden Treasure, Snacks, Trip Planning and tagged butterfly garden, Chip n' Dale campfire, Dole Whip, Fort Wilderness, park hopper, petting zoo, pony rides, Roaring Fork, snacks, Trails End, travel, Tri-Circle-D Ranch, vacation, Walt Disney, Walt Disney World, water pageant, Wilderness Lodge. Bookmark the permalink.